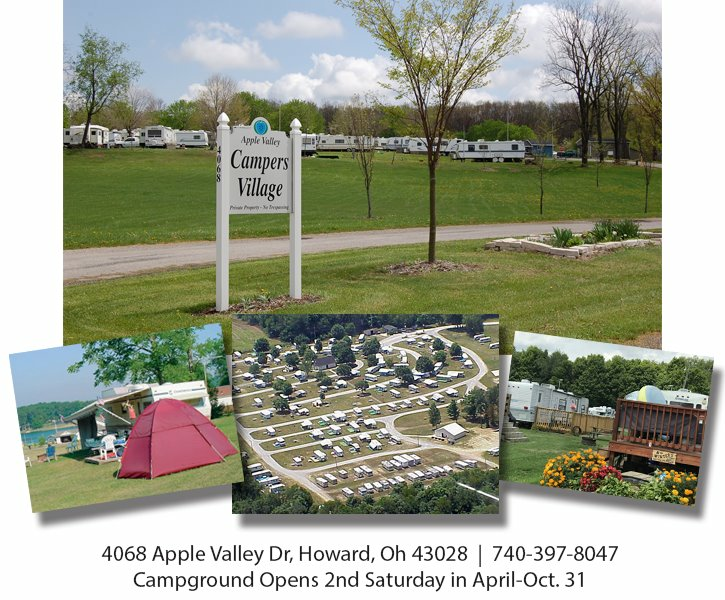 Campers Village is a place for property owners, in good standing, and their guests to camp in RVs, campers or tents. The office is located as you enter the village. 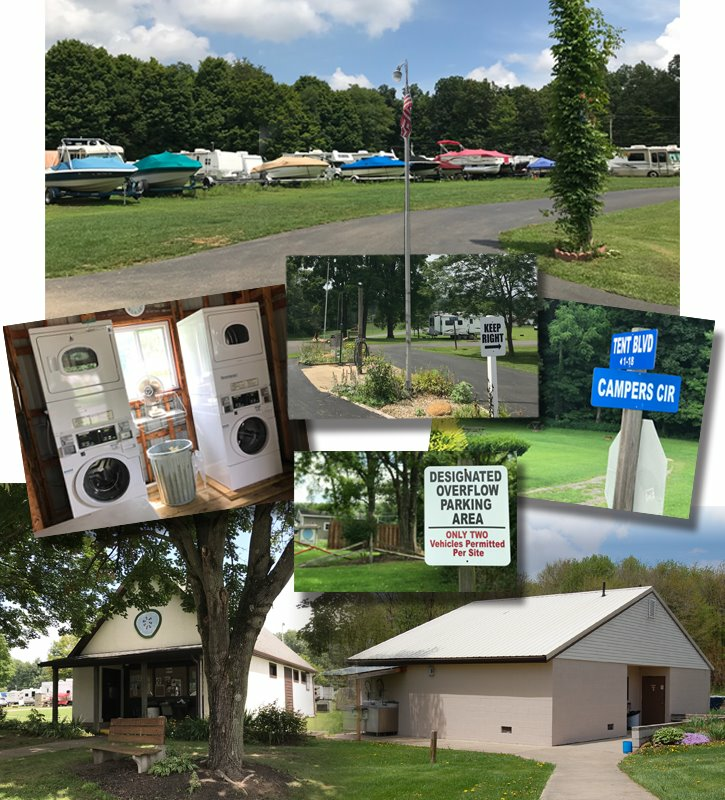 *PERTAINING TO GUESTS: If you have family members or guests camping, the property owner must stop at the Campers Village office to show AVPOA ID and sign a form for their guests. Pay your assessments and/or camping fees. Purchase family passes or boat decals. 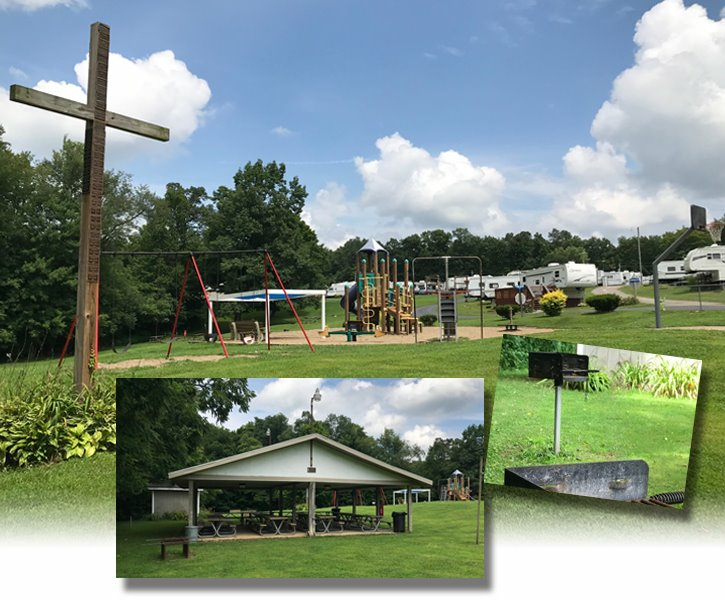 This facility offers: Electric and water hookups, playground with shaded seating, basketball court, volleyball net, horseshoe pit, picnic tables, and a picnic shelter, as well as grills. There is also a laundry room and 2 bath houses. Laundry supplies, firewood, camping supplies, ice and snacks are available to purchase at the Campground Office. Throughout the week (M-F) the picnic shelter is on a first-come, first-serve basis (no cost). If you wish to reserve the picnic shelter on Saturday or Sunday (in-season*) a request form must be filled out and payment (cash or check) must be received by the Administration Office. *[Memorial Day (May) through Labor Day (September)]. Only campers may use designated parking area for boats and boat trailers. 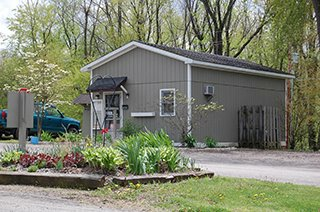 All campers and decks, except ones on seasonal sites, must go in storage area, or be taken home at end of season (Nov. 1) of each year. Boats and boat trailers must also be taken at this time. 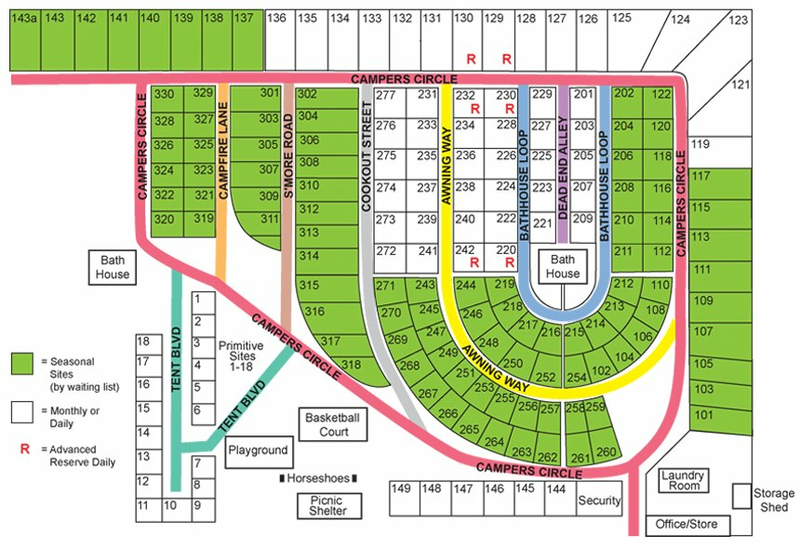 There is a storage area for those who don't want to camp, but need to store their RV or camper. (See Fees at the end of this page). All fees must be paid when you arrive. First-come, first-serve basis, money in hand. This means if you come in on Wednesday to get a site for Saturday, you start paying from Wednesday through to the last day you camp. This includes primitive sites.